How do I order the first time I visit? 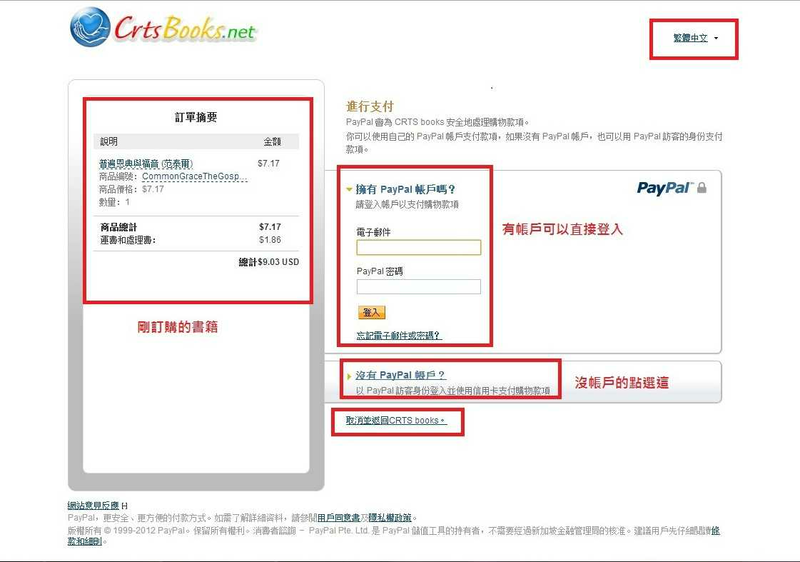 You do need to register as a member to purchase products on the CRTSbooks website. To open a new member account click on the “Join" button in the top right-hand corner of the home page. Fill out the requested information. Then click “Create user” button to complete. 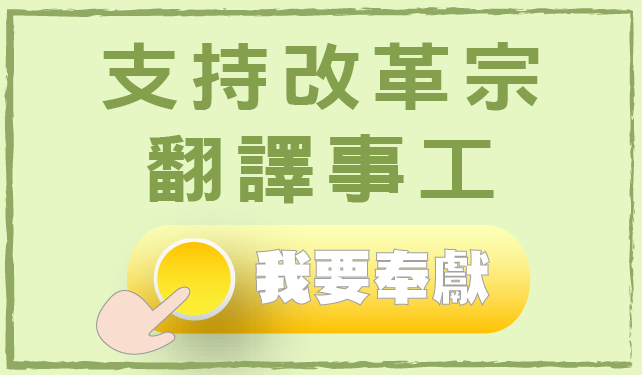 You can enter your user name in Chinese, English or numbers. The English option is not capital sensitive. For your security, we recommend that your password contain at least 6 characters. A combination of numbers and letters is best. The password is capital sensitive. Be sure that your Email service is reliable. If you have questions about which Email service we have found reliable, please contact us. After you have registered, click on “sign in” button on the top right-hand corner of the home page, and enter your user name and password. Then click the blue “sign in” button. If you have any trouble signing in, contact us. What if I forget my member ID or password? 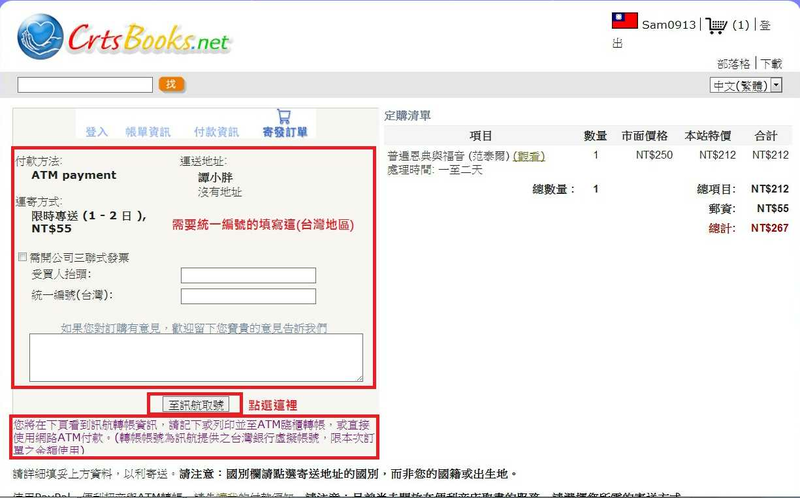 You may select "Recover Password" on the Sign in page, the system will automatically assign you a new password and send it to you at the Email you registered. If you do not receive the new password, please send an Email to Administrator and include your contact information for verification. After I found the book(s) I want, how do I buy them? Click on the item(s) you want to buy. Put how many of that book that you wish to buy in the box in front of “add to cart." After you have made all of your choices, you can either click on the “proceed to check out” button on the right, or click on the cart icon on the top of page, and then follow the check out directions. 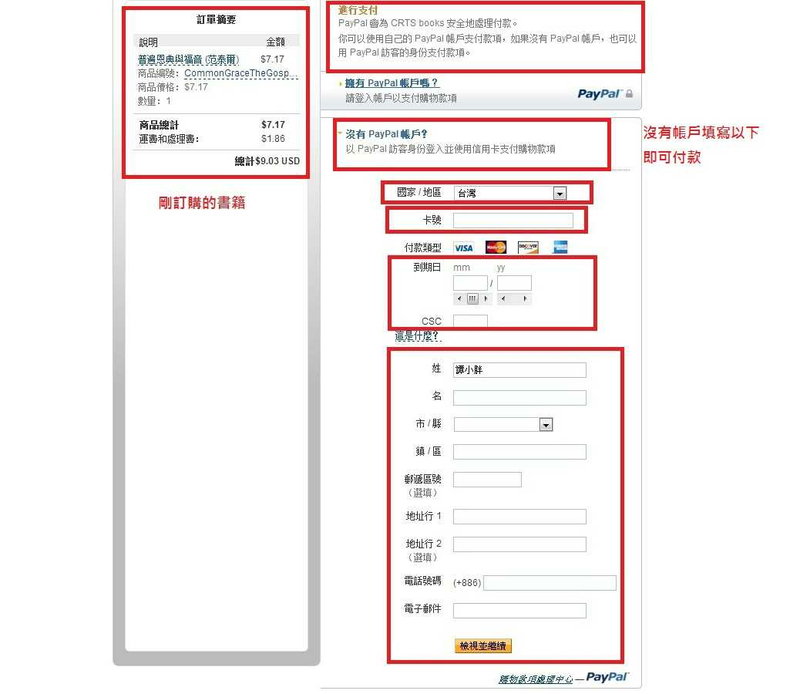 Follow the directions to complete the payment and shipping options. We will automatically send you a confirmation of your order to your Email. If you do not receive your confirmation please contact us quickly. 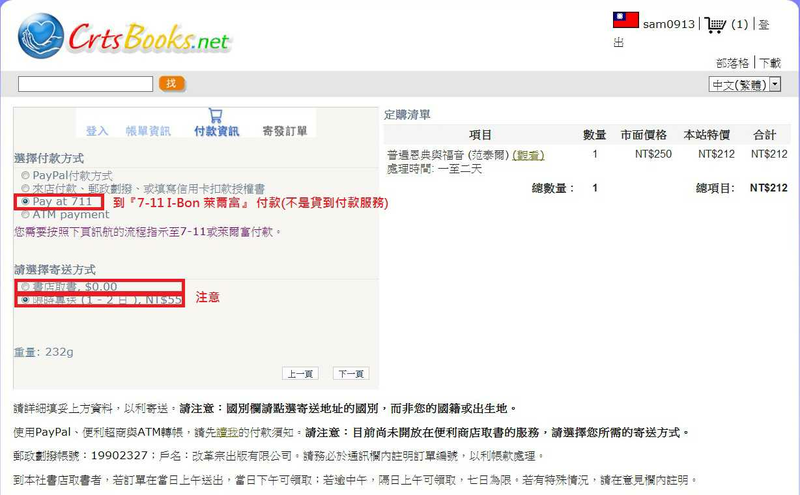 How can I change the quantity of a book in my cart? Click on “my cart” on the right of page. Change the quantity in the appropriate box, and then click on “Update basket” on the top of the page. If you want to delete whole item, click on the cross icon beside the item. Can I place an order if my country is not on your menu list? Yes, you can. But you must contact administrator to request that your country be added to the list. Once your country is an option on the list, you are ready to order. 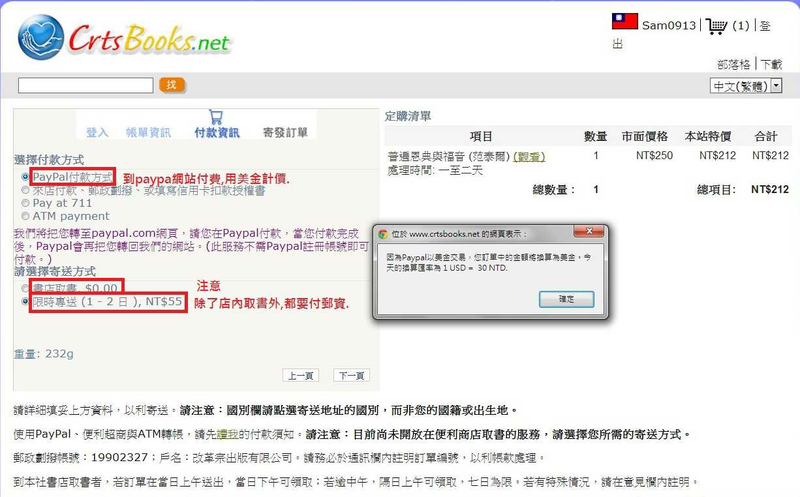 The profile, located in the top right-hand corner of the screen includes your user name, Email, password, and shipping information. How to modify my profile? 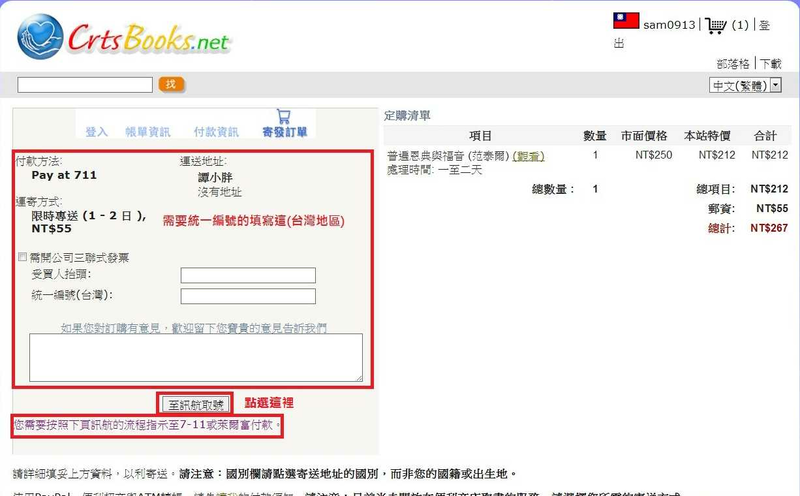 To modify your personal information, you may log into the site and choose "Profile" on the top right-hand corner of the first page. Is my profile public information? Is it necessary to keep the profile information current? Yes. Your Email and shipping information must be correct so that your confirmation and your order will be delivered correctly. If your order is shipped to an incorrect address, we will think your cancelled your order and we will not try to re-send the order. How can I find a book? You can choose to look by category, by authors, by press, list all or by audience to select books. Could I search by the name of a book or by an author? 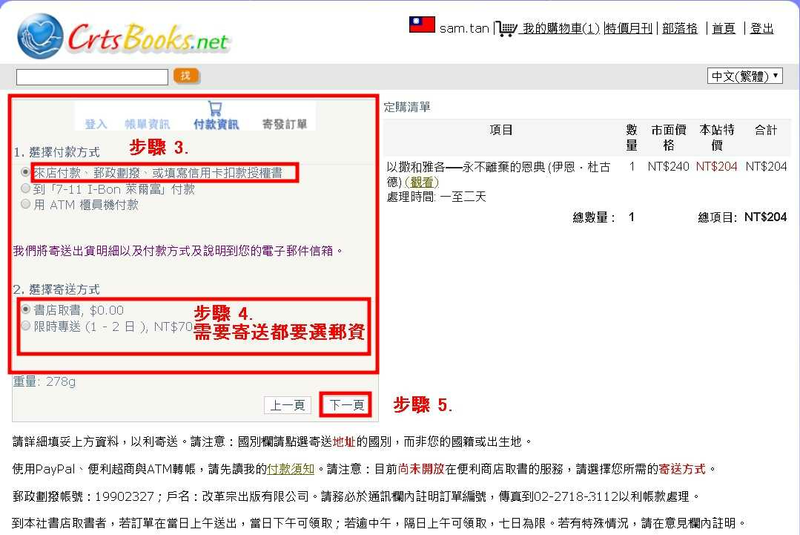 What can I do if I cannot find the book(s) I want in this site? 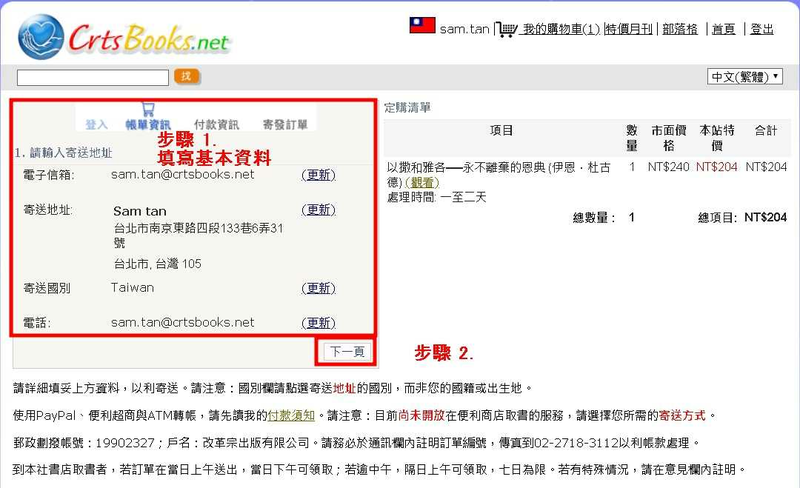 Contact administrator and tell him/her what book you are looking for. If the book is an assigned textbook for a CRTS class, we will add that book to the list as soon as possible. If the book for which you are looking is not a CRTS textbook, we will review the book and add it to the list if it meets our reformed standards. How many menthods are there for the payment? A. On-line Credit Card payment using Visa, Master Card, JCB, or American Express. 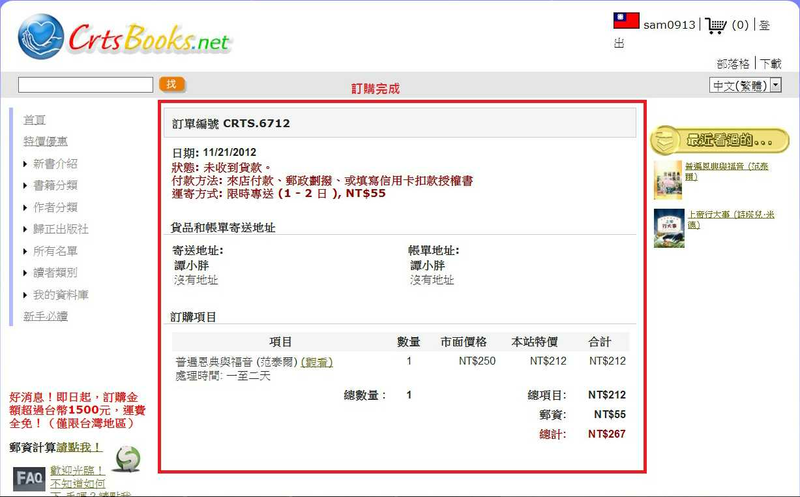 Postal transfer: transfer number: 19902327; account name, RTF PUBLISHING CO. LTD. Note your order number in message box, (you must fill it in completely for your order to be processed). Pay at RTF publishing: When you enter the office inquire where you will make payment to RTF publishing. Be sure to leave your name and order number with your payment. Our address is, No. 40, Allen 6, Lane 133, Nanjing E. Rd. Sec. 4, Taipei. Taiwan, ROC. 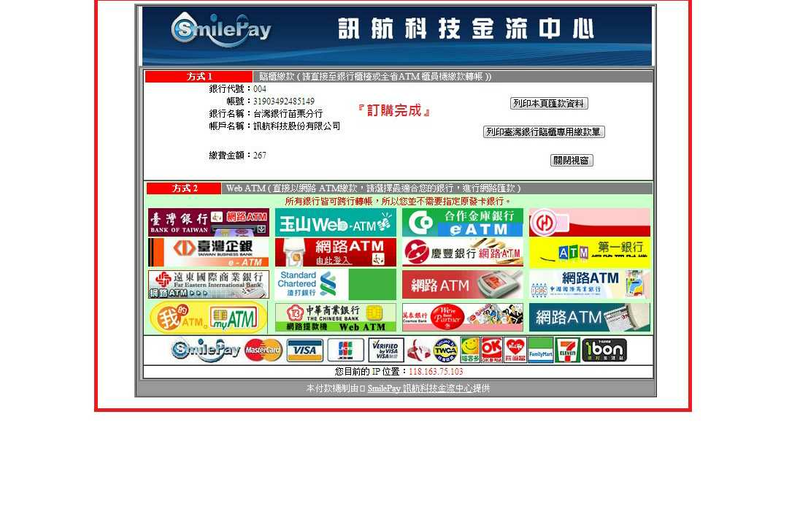 What are the payment options for China? 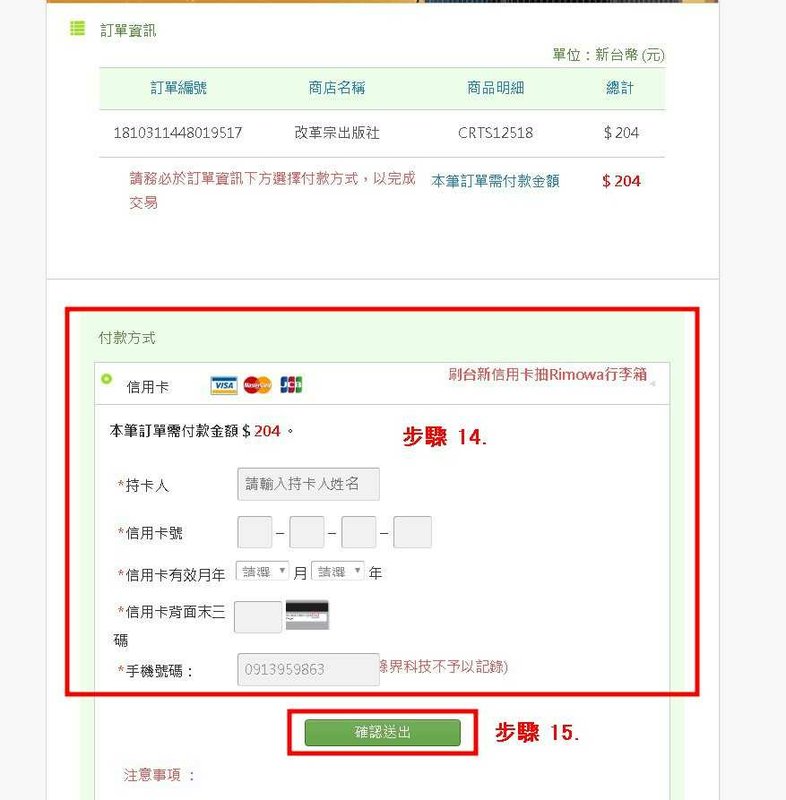 We recommend online credit card payment. This has the lowest processing fee. Contact administrator for other options. 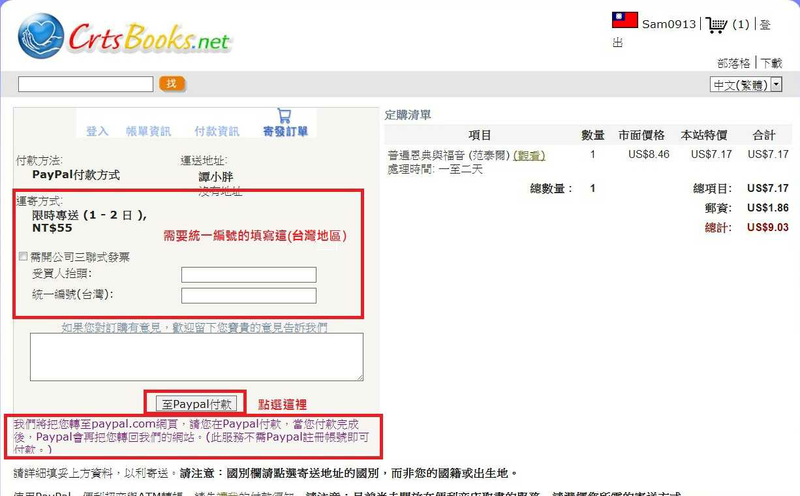 What are the payment options for overseas countries? Can I choose a billing name/title and address which are different from my shipping address? If you are using online credit card payment, there are different fields to enter these information. 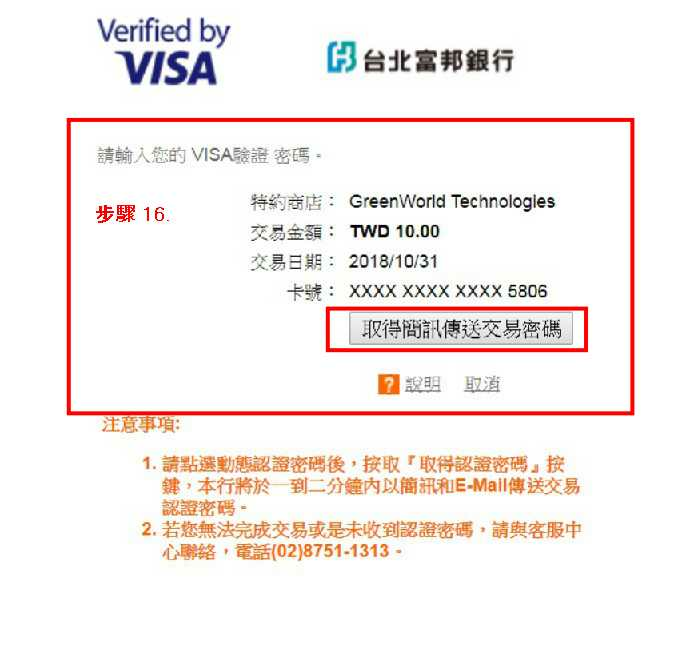 If you are using offline credit card payment, include a note on the Credit Card Authorization Form indicating the billing and shipping addresses. If you pay by ATM transfer, include a note in your email indicating the billing and shipping addresses. If you plan to pay at the RTF office, please leave a note in the box on the check out page before sending your order indicating the billing and shipping addresses. 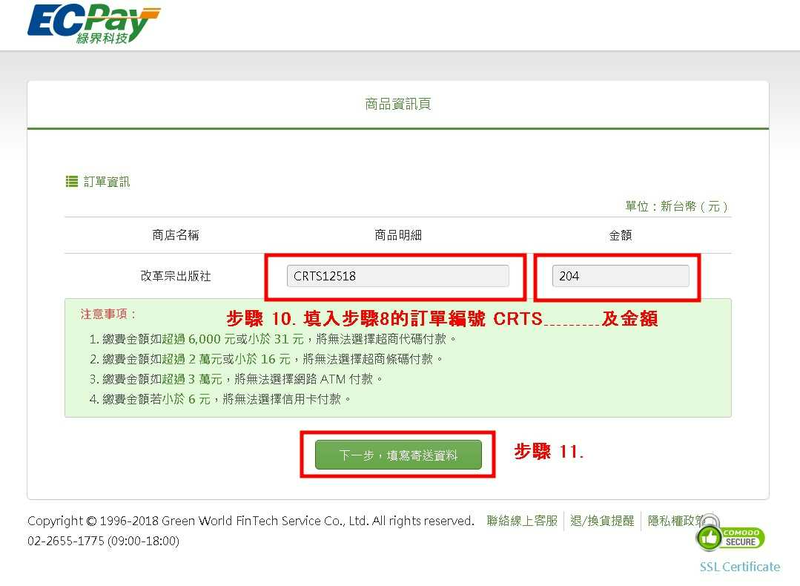 You may check the status of your order by logging into CRTSbook.net. Choose "My Orders" in left-hand menu "My Stuff". How long will it take my order to arrive? 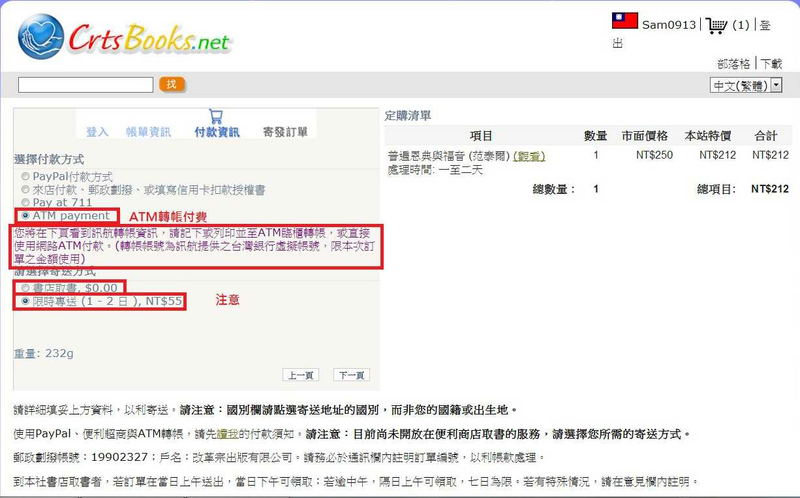 If the books are published by RTF, they should be shipped within 2 business days. Books from other publishers may require at least 2 more business days before they are shipped. Shipping time is dependent on the method of shipping you requested. May I cancel my order after I have pressed the "submit" button? It is not recommended, but you may cancel an order within one business day. Please send an Email to administrator or make a call to 886-2-2718-3110 Ext 1 to tell us you are canceling your order. If your order is already in the shipping process, you may not cancel your order. Contact administrator if you need to return books and receive a refund. 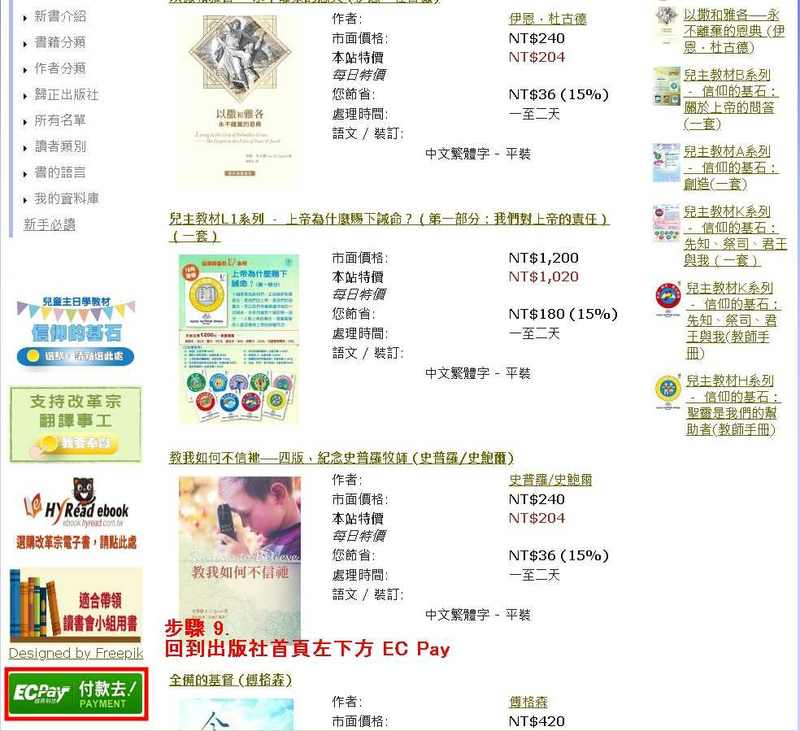 May I change the payment method after checking out? Yes, you can. You may send an Email to administrator to make this request. What is the shipping rate? Please reference our shipping volume discount. 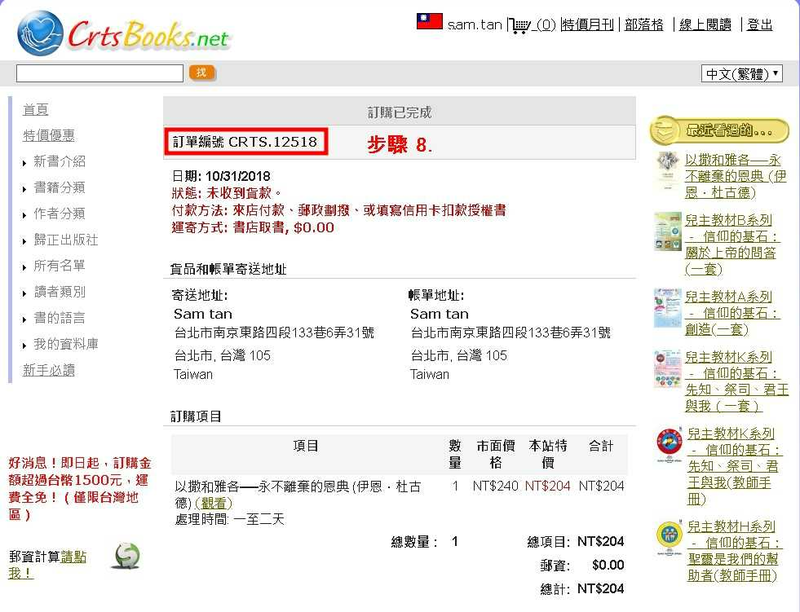 What shipping company does CRTSbooks use? 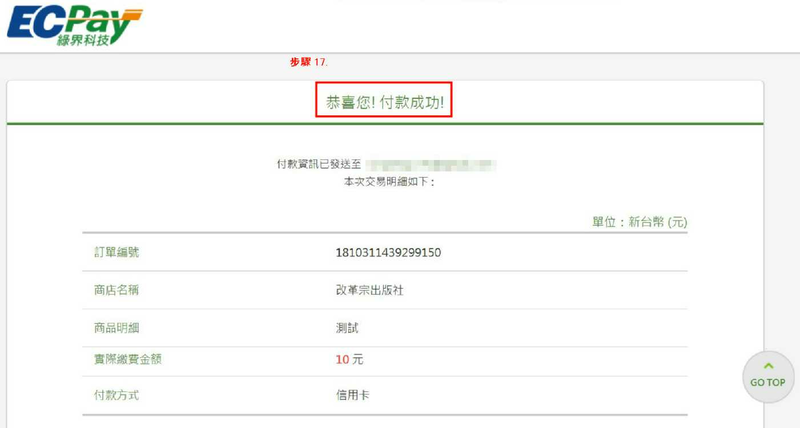 The shipping company will be determined by the method of shipment requested. 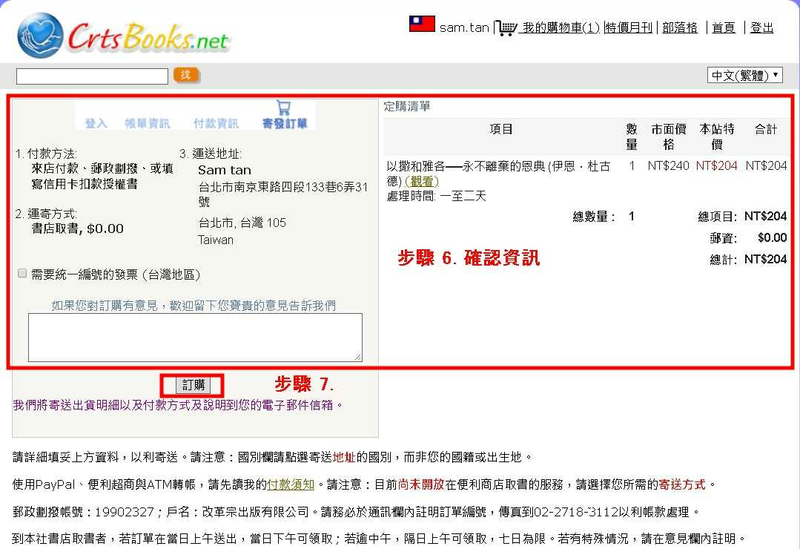 Can your books be shipped to Mainland China? Yes, we ship books to mainland China. The newsletter is where we introduce new books and promotions. This is sent periodically by Email. 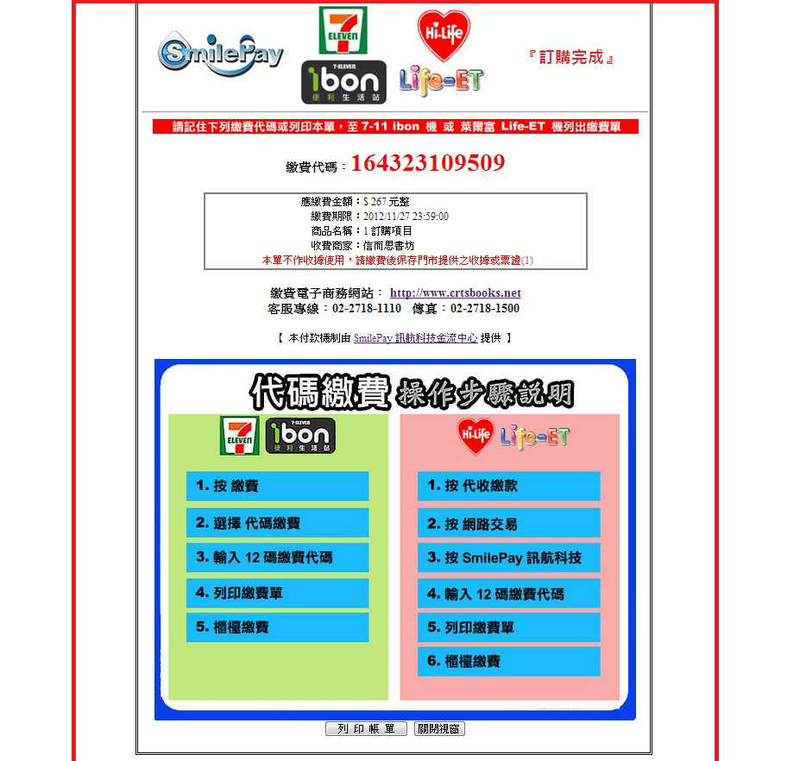 How can I receive your newsletter? 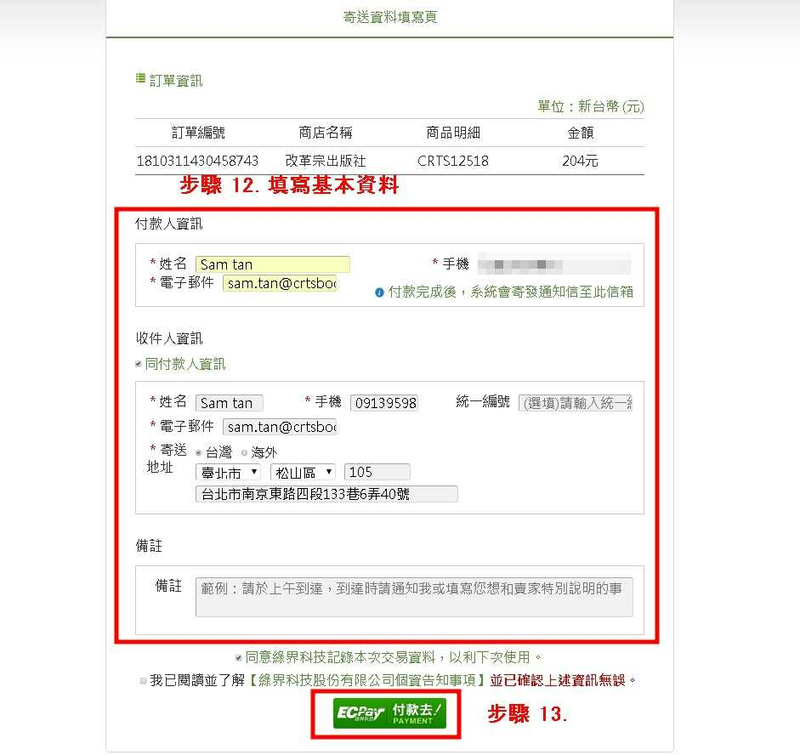 After you register, you can choose to receive the newsletter in the profile section. Can anyone write a review for a book? Yes. Once you register you can write a review on any book. How do I submit a review? 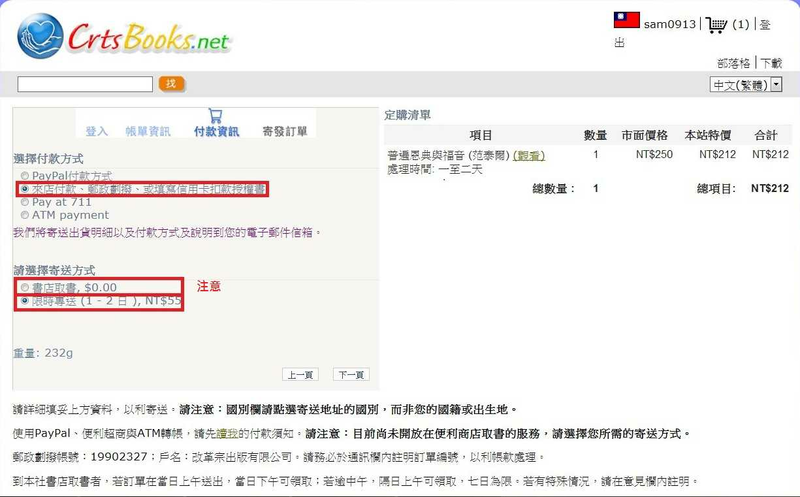 Select a book, click on “Add a review!” on the left-hand side, and type in your comments. Who can vote to rate a book? 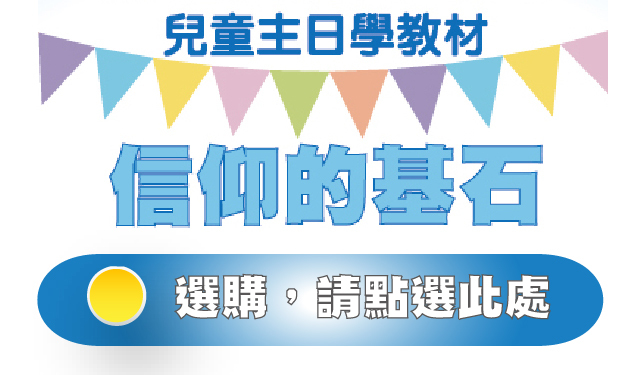 Any registered member can vote. How do I vote to rate a book? Select a book, and in the “Rate this book” box on the left-hand side of the page, click to indicate the number of stars you think the book deserves. How do I add a FAQ? Choose "Add" (like all scaffolds). Note: Choose the correct FaqCategory (some FaqCaterories only show up in Administration FAQ, others in the regular FAQ). How can I become an editor? How do I edit short description as an editor or a translator? Why can't I update the file? What I should do if program does not running right?